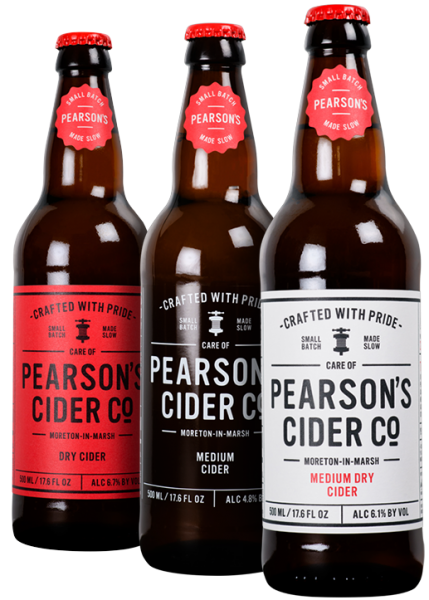 A Case of Mixed Cider | Pearsons Cider. 4 Bottles of Medium, 4 Bottles Medium Dry and 4 Bottles of Dry Cider. Can’t decide? 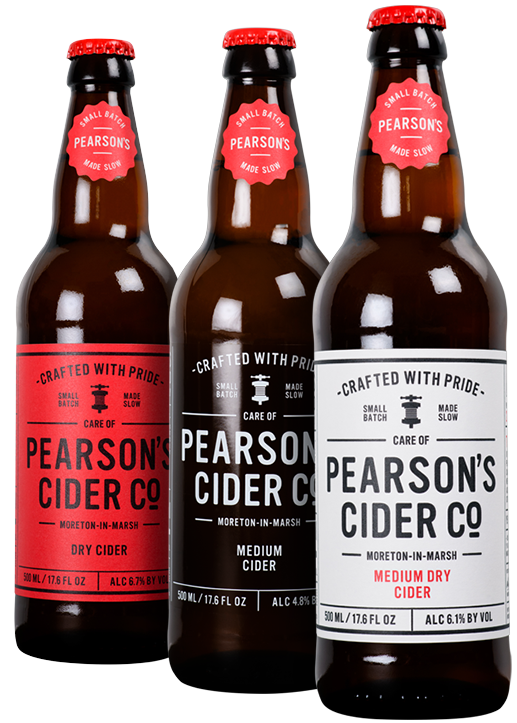 No probs, enjoy trying a selection of our ciders with a Mixed Case of 4 bottles of Pearson’s Medium Dry Cider (6.1%), 4 bottles of Pearson’s Medium Cider (4.8%), and 4 bottles of Pearson’s Dry Cider (6.7%). Don’t forget to serve them all lightly chilled!